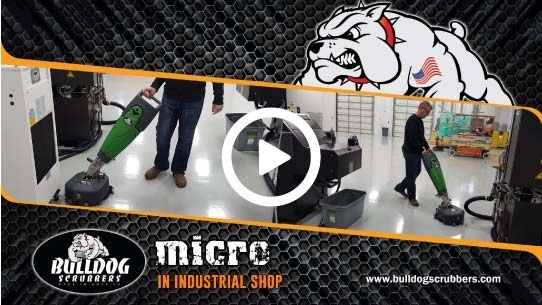 The Bulldog Micro uses only clean water and detergent to remove soils and germs from your facility floors. 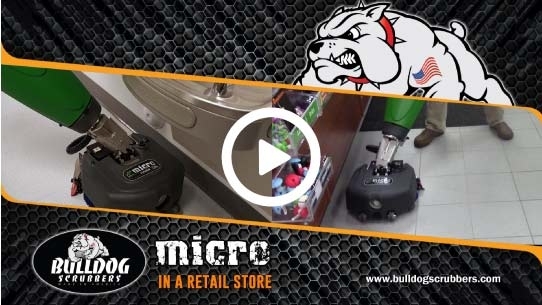 The fresh water tank directly supplies the Micro's two powerful scrub brushes for the most aggressive cleaning. 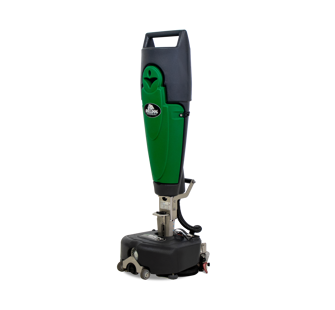 Its curved squeegee and industrial strength vacuum then remove soil from your floors into a separate tank. 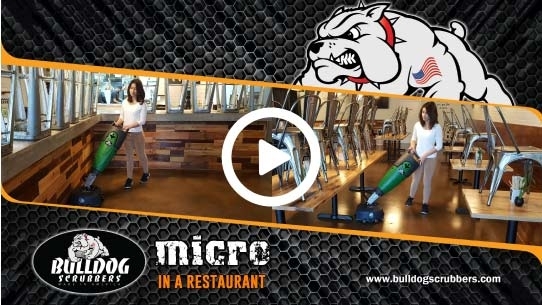 Your old mop and bucket simply spreads these soils around your kitchens, restrooms, dining areas, industrial shops and wherever you may be mopping.